Roger G. Noll & Dodge County Historical Society Inc. In the fall of 1840, Thomas Mackie and his son-in-law discovered rich soil and abundant timber on land along a stream south of Fox Lake. They soon settled there with their families and named the fledgling town after the industrious animal at work just steps away from their log cabins. This collection of vintage images highlights Beaver Dam's history from 1841 to 1941, as Beaver Dam evolved along the stream, drawing industrialists who built their mills on its banks and tourists who traveled aboard the Rambler excursion steam ship on the man-made lake. With a successful dairy industry and renowned iron works, Beaver Dam prospered and grew into a city united by work, faith, education, and play. Roger Noll is president of the Dodge County Historical Society, which celebrates its 65th anniversary in 2003. 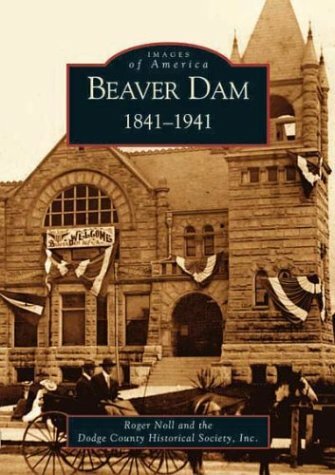 Noll has also produced a video documentary on the town's history, The History of Beaver Dam: The First 100 Years.